Tea was discovered nearly 5000 years ago in China by Emperor Shen-Nung. Tea became highly popular in Europe and the American Colonies in the1600’s. 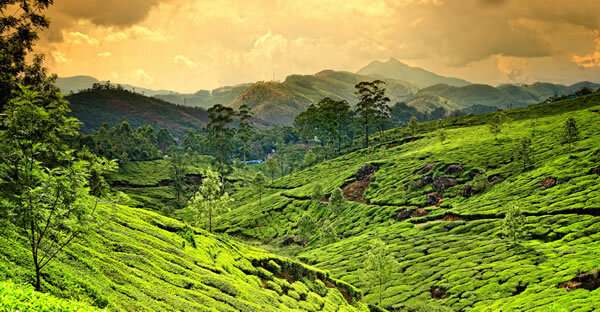 Much of the world’s tea is grown in mountainous regions 3,000 – 7,000 feet above sea level, situated between the Tropics of Cancer and Capricorn. Argentina, China, India, Indonesia, Kenya, Malawi, Sri Lanka, Tanzania and Taiwan are the leading producer countries. All tea essentially comes from the same plant; there are various jats (varietals) and two main categories of tea plant, camellia sinensis and camellia sinensis assamica. It is the processing of the teas that creates the primary tea types, white, green, oolong, & black. Once teas are processed into a particular type, secondary processes can be performed to further enhance the cup experience. Flavored teas, scented teas, and blends offer wonderful variety, complexity and flavor to suit every palate. Any variety of camellia sinensis that undergoes a process of firing or steaming immediately after plucking. The character is determined by the plant, time of plucking, shoot maturity, cultivations, geography and weather conditions. Camellia sinensis that undergoes a multi-step process after harvesting. Withering, rolling, oxidations & firing. Oolongs enzymes are partially oxidized to create a liquore that ranges from reddish brown to green to pale yellow. Camellia sinensis that undergoes the multi-step process after harvest of withering, rolling, oxidation and firing. Black tea requires a fully oxidized enzyme process to create the full character, color, flavor and aroma. Not tea, these are tisanes, steeped fruits, herbs, flowers, spices and other plants.